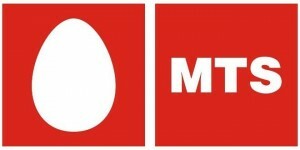 A low cost data plan has introduced by mobile operator Aircel & by introducing this offer company’s main objective was to push the threshold mark of mobile internet. 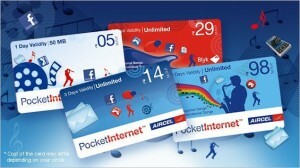 The plan has named as PI 24 under brand name Pocket Internet. The users can avail this facility for 30 days with 100 MB usage of data. Right now the above plan is available for 2G customers but the company is planning to launch the similar kind of offer to 3G customers. Again if the data volume usage finishes beyond 100 MB then the customer has only two option one is to recharge the plan again & another is to switch to another plan. ”India has the third largest internet users in the world and is rapidly adding 70 million mobile internet users a year. It is ironic that despite this exponential growth, a majority of the Indian population has never experienced internet on their mobile phones. These customers have used internet in cyber cafes and desktops but have never experienced internet on their phones due to limited awareness and knowledge of mobile internet. With Pocket Internet 24, we aim to tap this segment and drive internet adoption among first time internet users,” as per commented by Chief Marketing Officer Mr. Anupam Vasudev. North East, Jammu & Kashmir, Orissa, Kolkata and Rest of West Bengal, Tamil Nadu and Bihar were some of the circles where Pocket Internet 24 will be available & in rest of the circles it will launch on 24th April,2013. This concept of Pocket Internet provides a span of time for an user to think about the internet surfing process & removes the fear of overspending the money.